If you have ever wanted to shoot a music video, you may have started by collecting a mix of singers, actors, lighting and other items. That said, one of the most important choices that you will make is what kind of camera you use in your production. Photography and videography are complex skills, yet there are several video cameras that can help you create a stunning music video in the easiest way possible. But which ones should you consider? What are the best cameras for music videos? We have collected the ten best video cameras that you can rely on to shoot any type of music video. Whether you are a novice or professional, you can confidently use these cameras to get the job done. As always, the following list of music video cameras is not ranked based on preference. Instead, this list contains the music video cameras that we have found to be the most user-friendly and the most powerful. 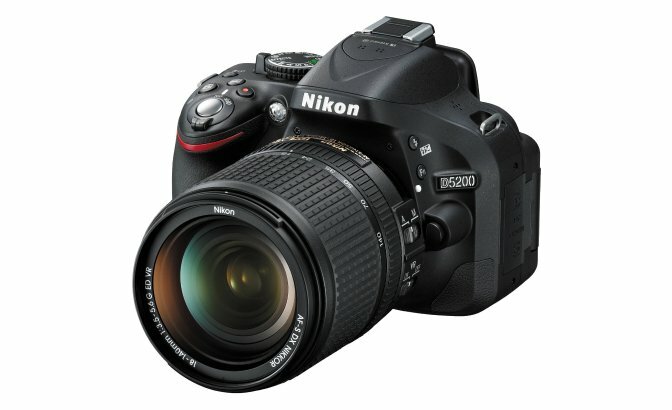 The Nikon D5200 is a good HD-SLR camera that can shoot both photos and video. It has a bevy of features, including a 921,000-dot Vari-angle display that lets you shoot from many positions, build-in high-dynamic range (“HDR”) which allows you to shoot in both very dark and very bright areas, and D-movie mode that allows for visibly smoother sequences. Nikon prides itself on the quality of every video and photo that you shoot with the D5200, as its highly sensitive 24.1-megapixel DX-format CMOS image sensor will give you the crispest video possible. The camera comes in three colors and is compatible with other accessories, including the WU-1a Wireless Mobile Adapter. By using this adapter, you can leverage Nikon D5200’s Wifi capability, which allows it to connect with your mobile device so that you can view your videos on your iPhone or Android device (or even upload them to YouTube). 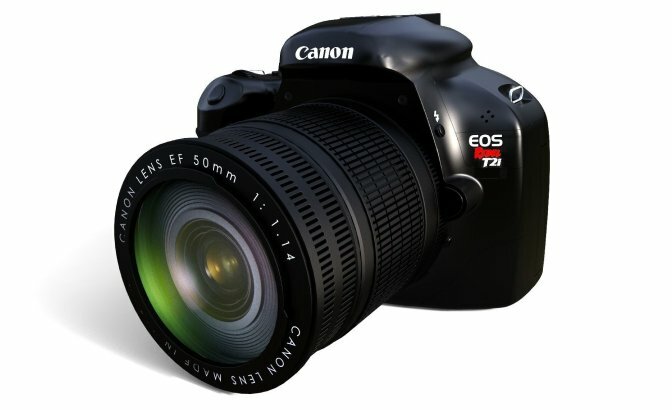 The Canon EOS Rebel T2i is a camera that allows you to create stunning music videos in high resolution. This Canon camera features HD video capture technologies (like manual exposure control) that enables you to capture stunning video while leveraging all the benefits of recording with an SLR. No matter the light, this camera will let you shoot your video without using flash – all while taking advantage of the camera’s improved noise-reduction technology. You can also use the camera’s Clear View LCD monitor that contains spectacular detail. The Sony Alpha a6000 camera is a camera that, according to Sony, combines the strengths of both phase and contrast detection autofocus. 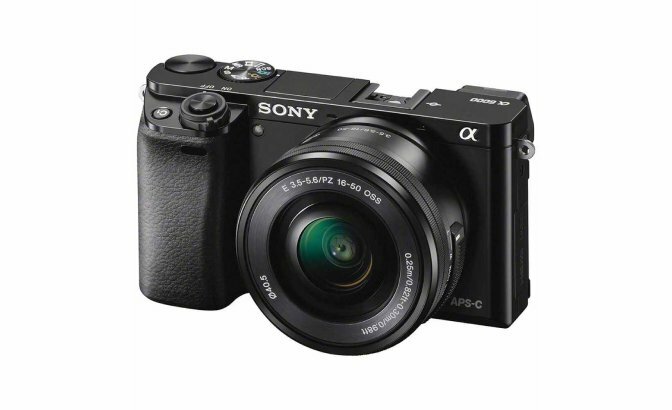 Sony claims that the Alpha a600 has quicker autofocus than a DSLR camera. This camera leverages Sony’s 4D FOCUS, which allows you to obtain perfect focus, every time. In addition to this emphasis on focus, the camera contains approximately 24.3 megapixels, a versatile E-mount interchangeable lens system, and the ability to share your creation through Wifi and NFC one-touch. Sony also provides a wealth of support should you have any questions about using the camera. While GoPro is known for releasing cameras for adventurers, the GoPro Hero 5 is a terrific camera to record live music videos. 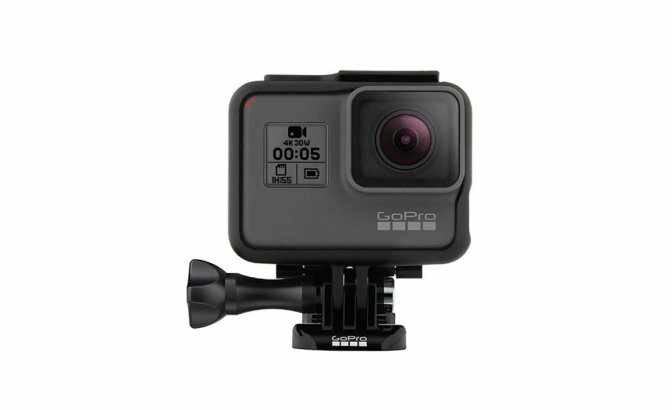 It offers a wealth of features to users, including voice controls, auto upload to GoPro Plus cloud accounts, advanced image stabilization (if you are shooting on the go), exposure control, and even 1080p time-lapse video. The Hero 5 battery is rechargeable and is rated at 1220 mAh, 4.40V. The GoPro community is also strong and is happy to solve any potential problems that you are having with the Hero 5. 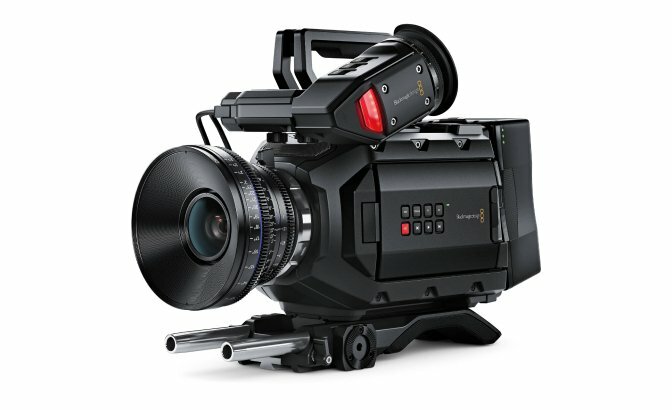 The Blackmagic Design URSA Mini 4.6K is a professional digital film camera that can deliver high-quality video for your music video. By using this camera, you can take advantage of features like a 4.6K HDR image sensor and high frame shooting (up to 300 frames per second). Because the camera has many controls on its side, you are able to adjust most settings while focusing on the action occurring in front of you. The camera is lightweight and small enough so that you can shoot on any location. 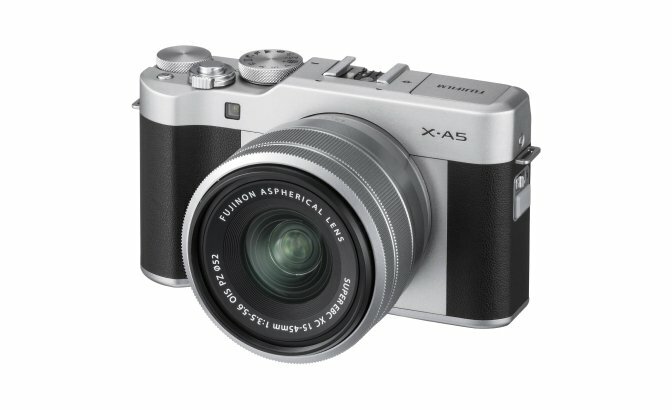 The Fujifilm X-A5 camera is one of the most lightweight cameras on this list. That said, it contains many features that you can use for your music video. The X-A5 allows for simple touchscreen operation, a 24M APS-C sensor, and 4K movie capability so that you can shoot a high-quality music video. The camera is compact and stylish, which allows you to shoot video in even the most challenging circumstances. Along with this, the camera can be connected to your smartphone via Bluetooth, so that you can immediately view and share your video. 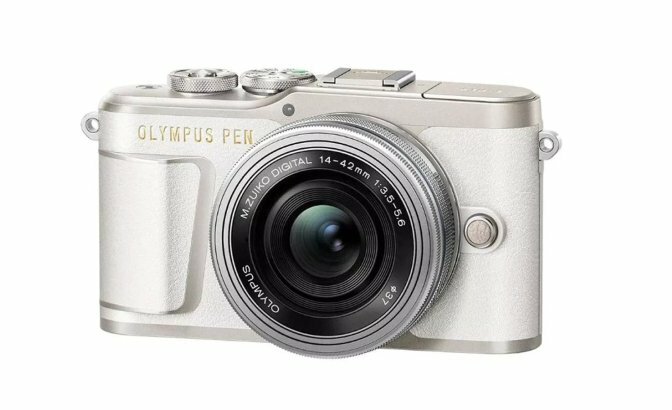 The Olympus Pen E-PL9 is another lightweight camera that you can use to shoot music videos. Yes, you can shoot your video in 4K ultra high definition. However, the camera provides some other features like a TruePic VIII Image Processor, a 16 megapixel live MOS image sensor, and built-in connectivity via Wifi and Bluetooth. In addition to the camera itself, Olympus offers other lenses that you can purchase to ensure that you are getting the perfect shots for your video. The GY-HM620U ProHD camera is an advanced handheld camera for a variety of uses, including the making of music videos. This camera is one of the more feature rich cameras on this list. It includes things like a newly-designed 1/3-inch 12-bit CMOS sensors, an image stabilizer, an autofocus zoom lens, a stellar color viewfinder, and the ability to support large file sizes. 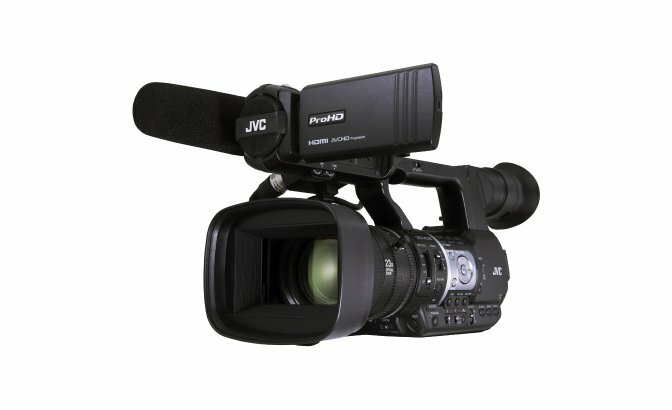 The camera also offers multiple encoding formats and wide media format capability. 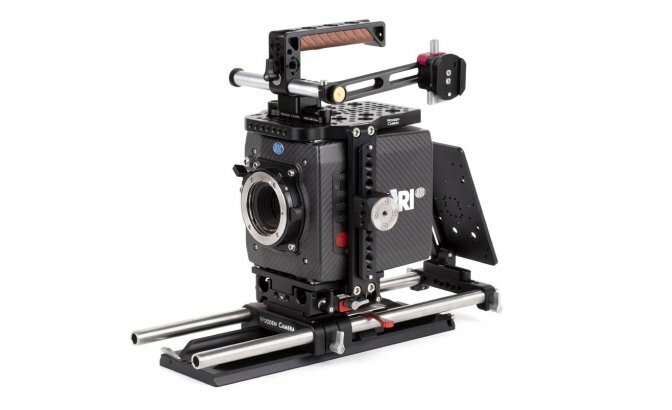 This item is actually a professional camera support package that is compatible with the ARRI Alexa Mini camera. By combining both the Alexa Mini camera and the accessory kit, you are able to shoot a stunning music video. The camera itself is compact and can be used even in the toughest environments. The accessory kit includes several useful items to shoot your music video, including a form-fitting cage, a camera baseplate, a rotating top grip, and multiple mounting points for accessories. By combining both the camera and accessory kit, you will have all of the tools you need to shoot your video. The VIXIA HF G30 is the flagship item of Canon’s VIXIA series of consumer camcorders. 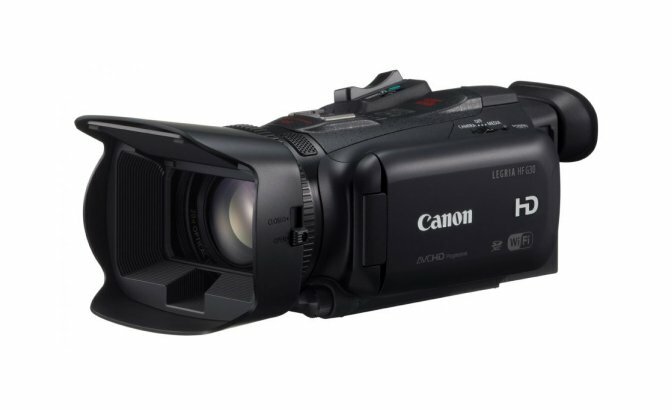 The camcorder leverages the professional features in any Canon device, like the Genuine Canon 20x HD video lens and 8-Blade Circular Aperture. The camera lets you shoot your music videos without any blur and lets you leverage a tiltable electronic viewfinder and joystick when you are filming. Like many of the cameras above, the VIXIA HF G30 has built-in Wifi technology to let you wirelessly share your videos. By using the list above, you can be confident that you will find the best camera to shoot music videos. These cameras are easy-to-use, yet are packed with features that will make your video shine. We are sure that any of these cameras will be a stellar addition to your video producing equipment. Once you are finished shooting your music video, however, you may need to make some edits to your footage. If so, we invite you to check out Movavi Video Editor. 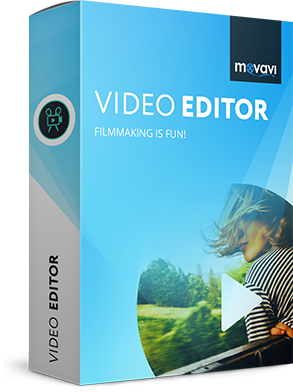 Video Editor allows you to edit and create stunning videos – even if you have no video editing experience. To learn more about how Video Editor can help you create outstanding videos (including music videos), click here.